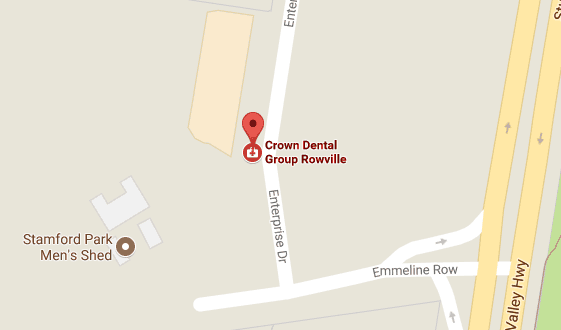 At Crown Dental Group, we’ll take all the time necessary to makes sure your every concern is addressed. You’ll find that we keep a relaxing vibe at our practice. It’s situated in a peaceful area in a beautiful, natural setting. As soon as you arrive, you’ll feel calmed in our respectful, caring environment. You’ll be warmly greeted by our support team when you walk in. We’ll get you set up with some paperwork and give you any assistance needed to complete it properly. Our team will offer you coffee or tea, and you can help yourself to the spring water located in the reception area. After that, you can just sit back and watch our big screen television. We keep waiting times to a minimum so you’ll be brought back to the surgery promptly. Depending on what treatment you are coming in for, you may meet with our dentist Ali Abbasbhai or Levent Ibrahim our dental prosthetist. During your consultation, we’ll get to know you and discuss your concerns and objectives. Once we’ve determined your needs, we’ll present you with a series of options and the costs involved, printed out so that you can take them home with you. You can ask as many questions as you need to. You can decide immediately if you’d like to proceed and schedule any subsequent appointments, or you can return home with your printed treatment options to determine what you would like to do. Get started today with same-day dentistry! In pain? We see emergency cases. Contact our practice today!